Two winners will be selected. 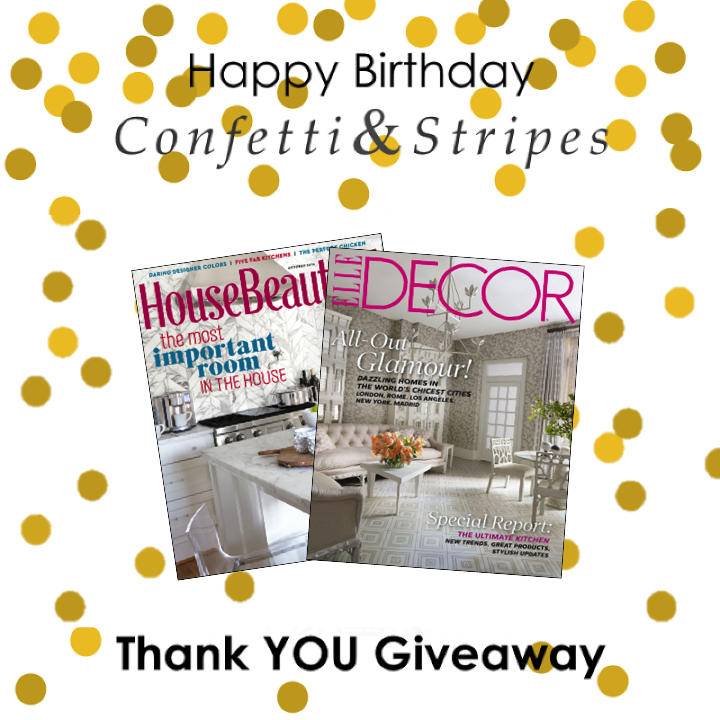 ONE will receive a one year subscription to House Beautiful and ONE will receive a one year subscription to Elle Decor. Giveaway ends 10/27/14 at 11:59 pm CST. Winner will be announced on the blog on 10/28! I shared this on facebook and started following you, these are also my fav! !